The armistices Israel concluded with neighbouring countries in 1949 did not bring peace on its provisional borders, the armistice lines. Although monitored by observers of a United Nations Mixed Armistice Commission, violations were frequent on both sides, as well as along the border with Jordan (the West Bank) and around the Egyptian held Gaza Strip. Palestinian guerrillas or fedayeen mounted raids from the refugee camps into Israeli territory, followed by attacks by the Israeli armed forces. It is estimated that between 1949 and 1956, the number of casualties as a result of these attacks and retaliation was 500 on the Israeli side (armed forces and civilians) and between 2,700 and 5,000 (fedayeen and civilians) among Palestinians. 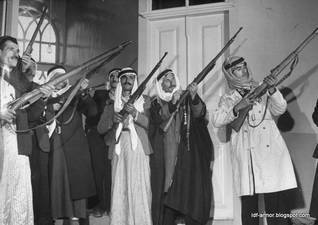 The Palestine resistance to what they saw as the occupation of their homeland grew in force in the mid-50s under the influence of the reviving Arab nationalism, especially in Egypt. In 1952, a group of Egyptian officers, the ‘Free Officers Movement’, staged a coup against King Farouk and declared the Republic of Egypt. In 1954, the charismatic Gamal Abdel Nasser, one of the leaders of the movement, became president. It was the prelude to the nationalization of the British and French owned Suez Canal and Israeli military action on Egyptian soil. 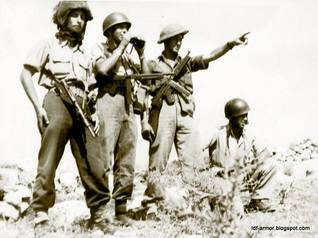 Israel cited the fedayeen intrusions from the Gaza Strip as one of the reasons for its Sinai Campaign in 1956.